Fans of Pusheen will love this Pusheen the Cat Celebrate 12 oz. Mug! This 12 oz. 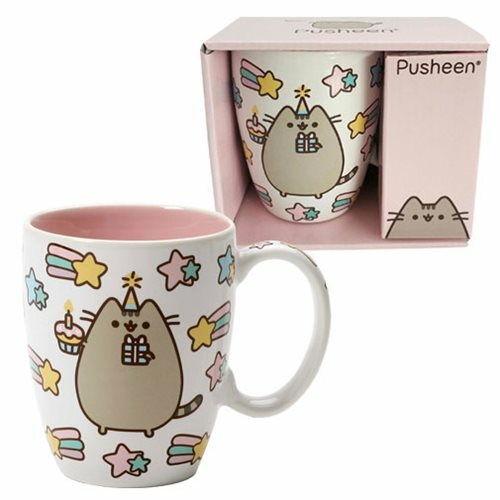 mug features a cute Pusheen celebration graphic that lets you show off your fandom while sipping on your favorite hot beverage. Comes packaged in a decorative giftbox. Dishwasher and Microwave safe. Measures about 5-inches long x 4 1/8-inches tall x 3 3/4-inches wide. Ages 14 and up.